In an unprecedented step signaling the gravity of these reports, Pope Francis has accepted Archbishop Theodore McCarrick’s resignation from the College of Cardinals. The Holy Father has also directed him to observe a life of prayer and penance in seclusion until the completion of the canonical process. At the same time, he is not to present himself nor function in any way as a cleric. Since Archbishop McCarrick’s suspension from active ministry, other revelations have now surfaced that, while a bishop he also had inappropriate contact with seminarians and priests. Understandably, many are frustrated, upset, and angry. I share all these same emotions. I was barely ten years ordained when the clergy abuse crisis surfaced in the Church in the United States in 2002. It was and remains a very painful time for all the members of the Church, especially those impacted by abuse. In many ways, it is a moment which has not yet concluded. Since then, both as a priest and now as a bishop, I have met personally with those who have been abused. To say their pain, and that of their loved ones is deep, doesn’t begin to describe what they endure even into today, and with every new public revelation of other abuses, they relive a bit of this painful part of their history. We must continue to do all we can as Church to accompany those who have been abused. At the same time, this new revelation of Archbishop McCarrick, many people – priests, laity, and hierarchy – are wondering how this or any bishop might rise to the rank of the episcopacy let alone to become a cardinal in the Church? How could such misbehavior not be known and addressed, let alone be overlooked to allow any priest to become a bishop, archbishop or cardinal? Indeed, the Body of Christ is hurting. I believe it is accurate to say that most regular, church-attending Catholics still trust their priests, who minister and serve the People of God faithfully. The same can no longer be said of bishops. We have lost the trust of many of our priests and people, and we must act wisely in the face of this present challenge in the hopes of regaining that trust. By Church law, bishops as successors to the Apostles enjoy an autonomy in the exercise of their office. Thus, the competent authority for oversight of bishops is held by the Holy Father and through him, various offices (congregations) of the Roman Curia, the Church’s central government. Because review of accusations of sexual misconduct by bishops as well as their failure to properly address sexual misconduct of priests and church personnel belongs solely to the Holy See, it is not possible for any one bishop nor even the United States Conference of Catholic Bishops (USCCB) to answer all the many difficult questions being asked these days regarding the issues of accountability and transparency. Because Pope Francis places such importance on synodality, especially in terms of an enhanced role and voice of episcopal conferences, the USCCB should speak through our officers on behalf of the Church in the United States for a review of the process by which Archbishop McCarrick rose through the ranks of the hierarchy to the College of Cardinals. We should respectfully ask to define additional measures to strengthen the integrity and process by which new bishops and members of the College of Cardinals are chosen. Bishops must continue to be held accountable for the way we handle the accusations of misconduct against any Church employee – not just priests. The USCCB did not go far enough in the Dallas Charter by not holding cardinals and bishops accountable to the same standards as priests and deacons who are accused of sexual misconduct with minors. This requires a prompt and firm correction. The USCCB should immediately convene an ad hoc committee of the most respected leaders of our Conference – no more than seven (7) – to write a protocol to be placed before the body of bishops for review and approval as soon as possible. Part of this protocol would require the development of a National Review Board for accusations of sexual misconduct against bishops. 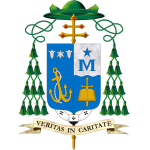 The membership of this body would include the seven bishop members of the ad hoc committee, the Papal Representative to the United States as an ex officio member, and an equal number of lay representatives. This Review Board would examine all accusations against bishops and make their decisions and recommendations to the Holy See. As a means of clear transparency, this Review Board would make its recommendations public within 60 days of submission to the Holy See if no public action or response has been taken by the competent authority. Finally, in addition to strengthening the process for reviewing accusations against bishops, this present moment is a call to all the members of the Church to renew our pursuit of holiness, and the call to daily conversion which, as the baptized, all of us share. At its core, we are facing a spiritual crisis, and these times call us to renew our life in and our witness to Jesus Christ. While bishops are called to govern effectively, we have an even greater responsibility to lead holy lives, and to help our brothers and sisters entrusted to our pastoral care to do the same. Likewise, all the members of the Church, laity, priests, deacons and bishops, must look to the Chief Shepherd, Jesus Christ: he asks not only for our fidelity, but humility and trust in Him. So I exhort the presbyters among you, as a fellow presbyter and witness to the sufferings of Christ and one who has a share in the glory to be revealed. Tend the flock of God in your midst, [overseeing] not by constraint but willingly, as God would have it, not for shameful profit but eagerly. Do not lord it over those assigned to you, but be examples to the flock. And when the chief Shepherd is revealed, you will receive the unfading crown of glory. This is not a moment to bury our heads in the sand, but rather a Kairos – a time appointed by God – to acknowledge the grave and pressing responsibility that now lies before us. Let us take up the challenge with courage and hope. Let us bring relief, healing and a renewed sense of confidence to this suffering Body of Christ, the Church, in a spirit of sound governance, concerted prayer, true humility and the love of a good shepherd.